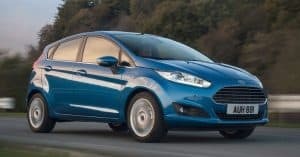 New car sales fell by close to a fifth in April compared to the same month last year – a slump that has been pinned almost entirely on changes to Vehicle Excise Duty (VED), or ‘road tax’ as it is often known. Some 152,076 new cars were registered last month, according to the Society of Motor Manufacturers and Traders (SMMT), 19.8 per cent fewer than the previous April. Despite the dramatic drop, the year-to-date performance remained at record levels, with 972,092 new registrations – 1.1 per cent ahead of this point last year. The fleet market makes up almost half of 2017’s new car sales (49.9 per cent), and in April, it represented 57 per cent of new registrations. Revised VED rates took effect from April 1st, which meant any car emitting CO2 would be subject to £140 annual VED, affecting any sub-100g/km cars that previously enjoyed free road tax. Mike Hawes, SMMT chief executive, admitted that April was always going to be much slower due to buyers rushing to register new cars during March to avoid the VED tax rise. He also blamed fewer selling days in April due to Easter falling later. “It’s important to note that the market remains at record levels as customers still see many benefits in purchasing a new car,” he commented. The Ford Fiesta [pictured] remains the biggest-selling car in 2017 after leading sales in April yet again, with almost 5,000 of its 43,162 units coming last month. Its larger sibling – the Focus – followed with more than 27,000 sales this year. The top ten was completed by the Nissan Qashqai, Volkswagen Golf, Vauxhall Astra, Mercedes-Benz C-Class, Volkswagen Polo, Mercedes-Benz A-Class and Mini Hatch.